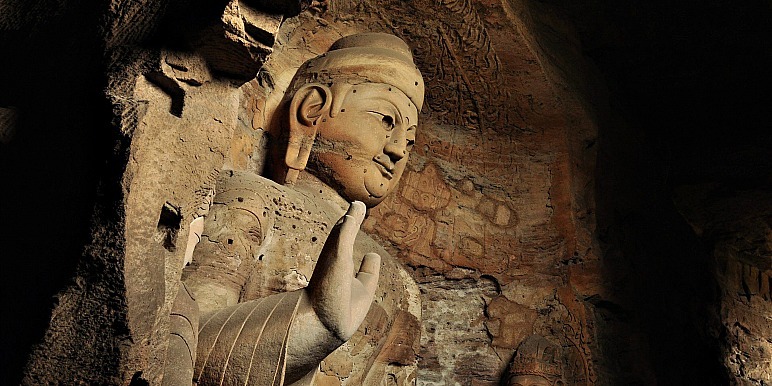 From the largest collection of marble in the world to over 2,000 religious sculptures, caves never stop amazing us with their natural and man-made wonders. Stunning, majestic and complex, these 12 caves make our guide on the most beautiful caves around the world. Come take a trip with us as we explore the deep and dark depths of these natural and historical sites. Get ready to be surprised. When most travelers set off to Italy, they don’t think to look further than the beautiful hilltop towns, luscious vineyards and exquisite cuisine. Wanting to venture off the beaten path? 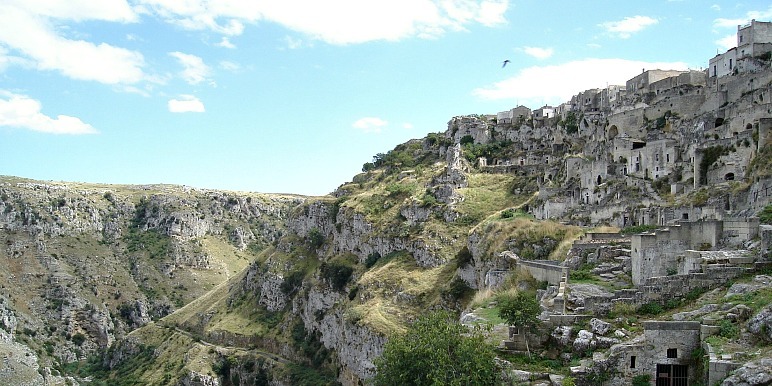 Look no further than Sassi di Matera. Thought to be the oldest continuously inhabited cave dwelling in the world, Sassi di Matera makes our list as a must-see natural wonder. Dating back to the Stone Age over 9,000 years old, Sassi di Matera attracts visitors from across the world with its city carved into stone. Despite its aesthetic appearance, these cave dwellings carry a dark history of human struggle and resilience. Until the late 20th century, cave inhabitants survived here with little to no access to running water or basic supplies from outside. As population size increased, the community had to expand the caves and malaria began running rampant. Now named a UNESCO World Heritage site, many of these caves that once represented hardship have been transformed into snug little homes, hotels and restaurants. With limestone formation dating back to 400 million years ago, these caves are exploding with human history. Human existence in these caves can be traced all the way back to indigenous tribes. Today, there are three main caves here featuring Hindu temples and shrines. The main attraction here is giant gold statue dedicated to Lord Murugan, one of the most popular Hindu shrines outside of India. If you’re up for the challenge climb up 272 steps past the shrine to get a once in a lifetime view of the city centre. If this beautiful landscape and historic monuments isn’t enough to convince you, maybe some furry friends will be. Monkeys are known to frolic around as visitors bask in the glory of these caves. A truly unique natural phenomenon, the Škocjan caves have made their presence known as an international treasure. The cave was actually carved out by the Reka River over many years, creating underground wetlands in the area. Škocjan cave even has the largest subterranean canyon in all of Europe, reaching close to 500 feet high. Many go so far as to refer to it as the “underground Grand Canyon”. The first written records that mention these caves goes back as early as the 2nd century B.C, but archaeologists have found remains and evidence of human life starting around 3,000 B.C. Some friendly friends swimming beneath you in the river. These caves are home to an odd inhabitant- the blind cave salamander, also known as the human fish for their human embryo like appearance. Looking for a eerie experience that will have you feeling as if magic is in the air? 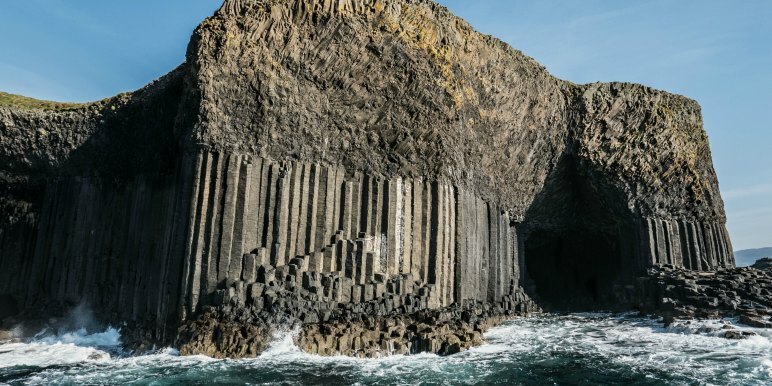 This isolated sea cave is well known for its perfect geometry, formed completely from hexagonal columns of basalt from a Paleocene lava flow. 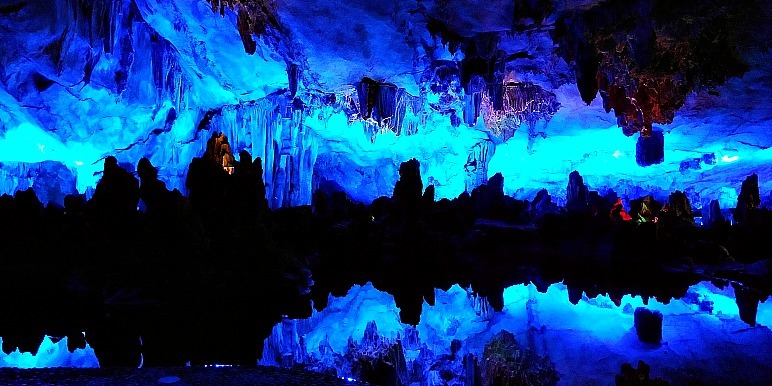 Standing at 72 feet tall and 270 feet deep, this is one of the most aesthetically pleasing caves around the world. As the waves crash, the sound is echoed off the arched ceiling creating beautiful natural acoustics. 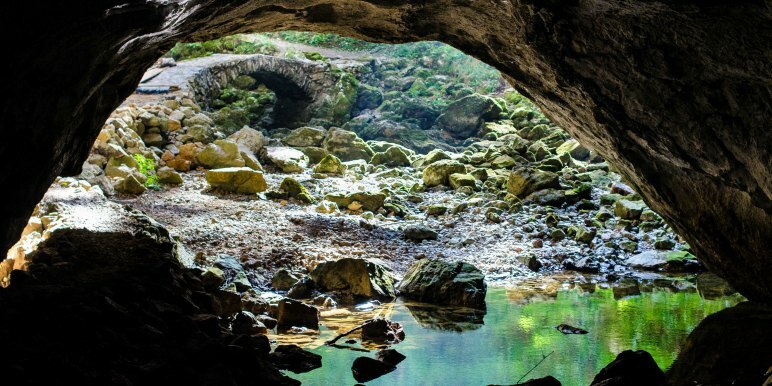 The history and origins of the cave are unclear, but stories of folklore and mystery only add to visitors fascination with the natural wonder. 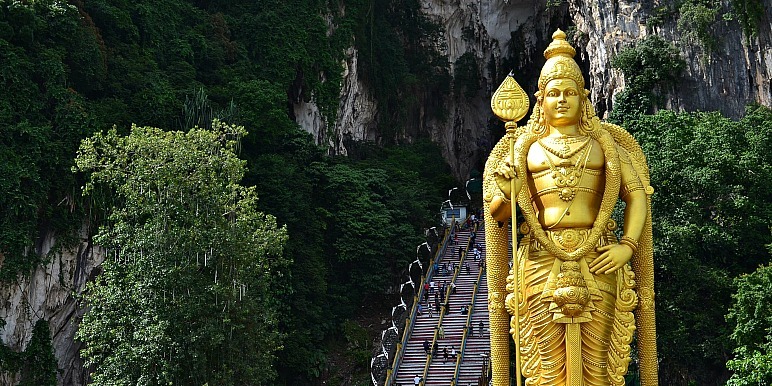 Amazing temples tucked away in hidden caves, sounds like an Indiana Jones movie right? 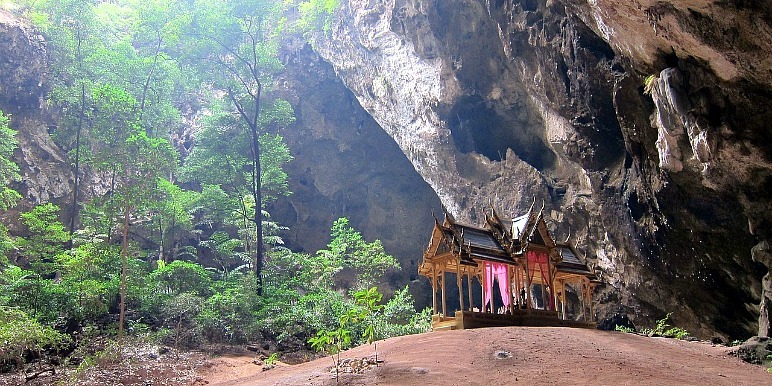 Well, Phraya Nakhon cave brings this to life as one of the most beautiful and mysterious landmarks in all of Thailand. 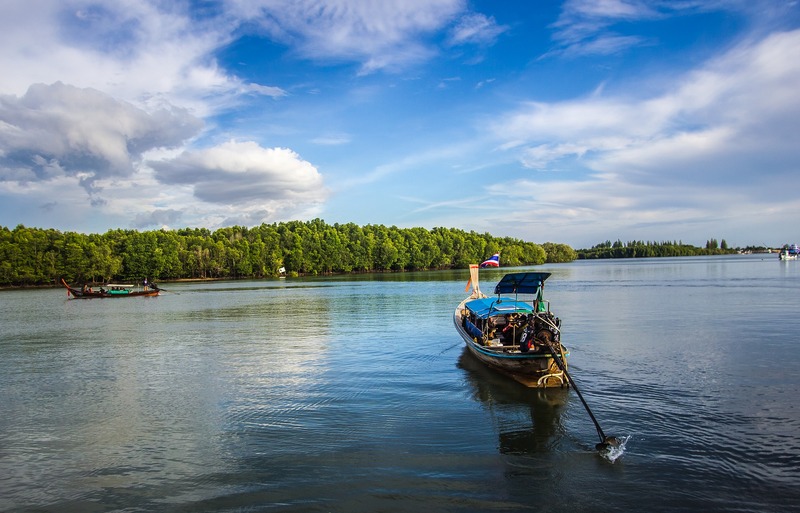 The cave is located in Khao Sam Roi Yot National Park, and accessible by foot or boat. The cave consists of two chambers, but is most well known for its main chamber with the Kuha Karuhas pavilion. A hole in the top of the ceiling allows sunlight to penetrate the cave chambers, creating a mystical feeling for those who enter. A treasure trove of Buddhist art, the Caves of the Thousand Buddhas actually holds over 2,000 religious sculptures spanning over five floors. The roughly 400 caves in this complex are located in the desert, and historically acted as a busy checkpoint on the Silk Road, linking China and the West. Over 50,000 documents, paintings and other artifacts have been discovered hidden away in these caves. The artwork in particular (starting in the 5th century), shows how the Buddhists were influenced by Persian, Greek, and Indian culture, most likely from the Silk Road travelers they encountered. Jump aboard a small wooden rowboat, experience a few short moments of complete darkness, and then find yourself transported into a whole new world. Walls illuminated by the crystal clear blue water below. You are now in the Blue Grotto sea cave. There is a reason this is the most visited sight in Capri, Italy. 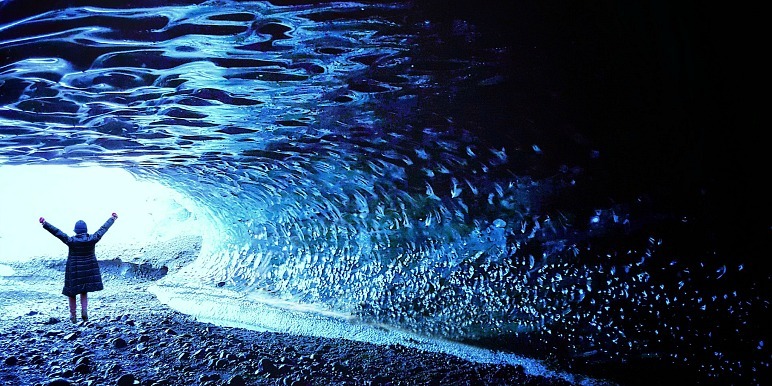 The sunlight that passes through a small hole shines through the blue sea creating a unique blue reflection throughout the cave. 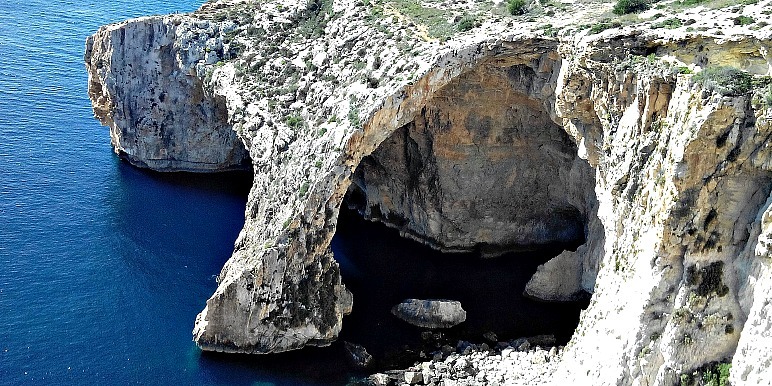 Besides being a beautiful natural wonder, the Blue Grotto used to be a marine temple used by the ancient Romans. Attracting the attention of people for over 1,200 years, The Reed Flute Cave is also known as “The Palace of Natural Arts” for its beauty. So, where did this interesting name come from? The cave gets its name from a special type of reed that grows throughout the cave, which is used to make flutes. Now it makes sense right? The rock formations and stone pillars throughout the area are illuminated by iconic colored lights that make for a perfect picturesque image. The ink inscriptions that line the walls of this magnificent cave can be traced all the way back to the 8th century during the Tang Dynasty. A true winter wonderland, Skaftafell Ice Caves is one of the most famous ice caves in the world that should be on everyone’s bucket list. This ice cave is located on top of the Vatnajökull glacier- the largest glacier in all of Europe! The ice found here is centuries old, and the cave was most likely formed by a volcanic spring under the glacier. Snap, crackle, pop…. What was that? Don’t be alarmed! Part of the unique experience this cave offers is the sound effects it makes as it glides across the Vatnajökull glacier. Ever thought about where the largest reservoir of natural marble in the world it? 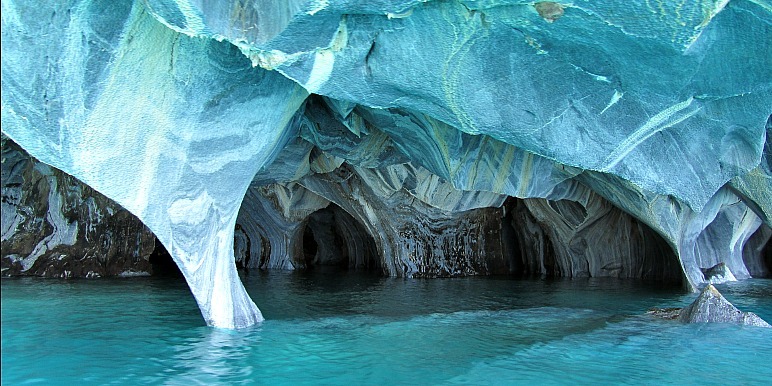 The Marble Caves! This mystical place almost seems unreal with all of its patterns and colors, but was actually formed over 6,000 years ago. The constant crashing of water from Lake General Carrera nearby created a natural variance in the shade of blue and swirling shape this marble took on. The caves are only accessible by boat, but don’t forget to look down when you get there as the crystal-clear water allows you to witness even more rock formations below. Only a cave that sparkles this bright could make it as number 1 on our list. Truly unmatched by anything else in the world, the Waitomo Glowworm cave is illuminated by thousands of native New Zealand glow worms. As if you were suddenly transported into outer space, the cave shines bright with long glowing threads made of mucus and silk (aka glowworms). This cave is part of the Waitomo cave system, including the Ruakuri and Aranui Cave as well. To get there, enjoy a boat ride where you will become part of over 120 years of history for this natural wonder. Ready to experience some of the most breathtaking natural wonders in the world? Here are over 2,000 tours featuring caves on Stride. Wow - this is incredible! 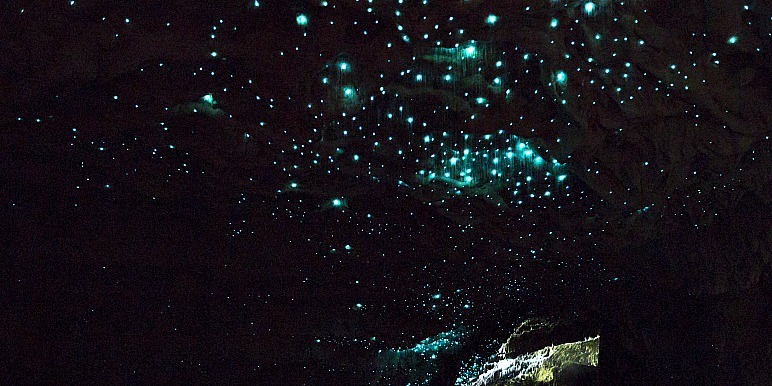 I've always wanted to visit the New Zealand glowworm caves.